The headteacher of Lagalaga Sanatan Primary School, in Labasa, yesterday declared that the people of Vunivutu will not be bullied into silence. 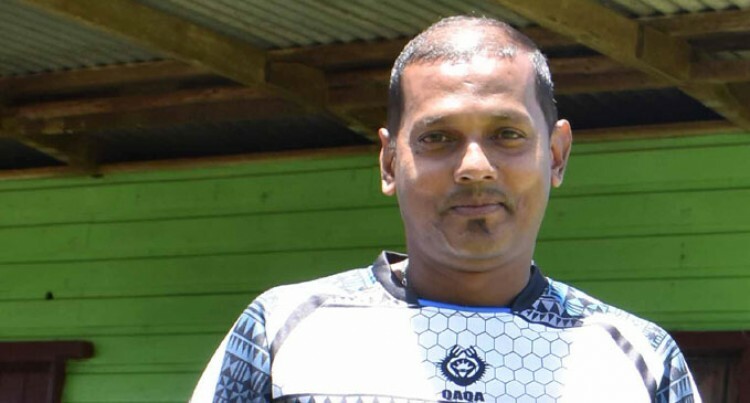 Rajend Prasad, 33 who is also believed to be the youngest headteacher in Fiji, was yesterday at Vunivutu, about 45 kilometres from Labasa Town, to meet Attorney-General Aiyaz Sayed-Khaiyum. Mr Prasad said: “Hum nahi darenge, hum nahin bikenge.” (They will not fear nor be sold). He told Mr Sayed-Khaiyum that those who were present at the alleged meeting with National Federation Party Member of Parliament Parmod Chand were baffled with Mr Chand’s denial. He issued a strong-worded challenge that almost every person who was present at the alleged meeting was ready to speak out and, will speak out if the need arises. Mr Prasad praised Government for its policies and talked about how the country has made progress over the past years. During discussions Mr Sayed-Khaiyum was informed that NFP had said they would decrease the price of beer during another campaign meeting. And, a Jayanti Lal asked Mr Sayed-Khaiyum whether FijiFirst, too, would decrease the price of beer or any locally-produced alcohol. Before Mr Sayed-Khaiyum could answer, others shouted him down that it is better that the price of food and other essentials come down rather than the price of alcohol. Mr Sayed-Khaiyum said it was all about priorities. NFP Leader Biman Prasad during a campaign meeting had said that it was a shame that a poor farmer was unable to afford two bottles of beer and had said NFP would look at reducing the price of beer. Meanwhile, the NFP Leader said investigations into whether Mr Chand had in fact made the alleged statements which were attributed to him were still on-going and that the party would release its statement only after investigations were complete.